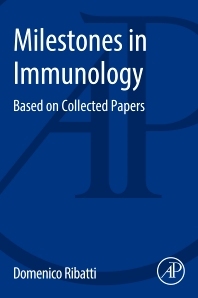 Milestones in Immunology: Based on Collected Papers contains scientific milestones relating to the history of medicine over the past two centuries. The book highlights the contributions of pioneering scientists whose discoveries have paved the way for researchers working in the field of immunology. As the science of immunology grew from knowledge that survivors of common infectious diseases rarely contracted them again, the book uses this as a central thesis, helping readers understand how the adaptive immune system aids in defense against pathogens. In addition, the book covers special fields, such as immunohistochemistry, immunogenetics and immunopathology. For the past century, immunology has fascinated and inspired some of the greatest scientists of our time. Numerous Nobel Prizes have been awarded for fundamental discoveries in immunology, from Paul Ehrlich’ work on antibodies (1908) to the studies of Zinkernagel and Doherty (1986) elucidating mechanisms of cell-mediated immunity.